This hybrid of H. 'Tokudama' × H. 'Crinkle Cup' was registered by Eldren Minks of Minnesota in 1980. 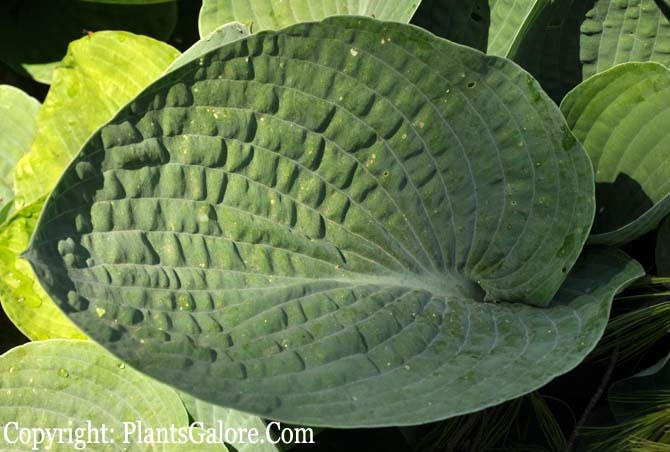 It grows into a large size hosta about 18 inches in height and 37 inches in width. The foliage is unruly, broadly ovate and has thick substance. Similar cultivars include H. 'Abiqua Drinking Gourd'.